Alec Smart and his Co-Host Sherman Sitter from Educational Collective, “Don’t Feed The Animals” , sat in for the 9-18-2017 Inspirado Projecto Show on 1630AM KCHUNG Radio in Chinatown Los Angeles. As normally on par with the course, they spent the hour providing wisdom about bicycles, absurdity, the Golden Rule, and how to most ideally collaborate. You can experience the amazing broadcast HERE! They enlisted Station Manager, Captain Nicholas, to add his astounding improvisation collaboration, which can be enjoyed HERE! If you are a Queen fan, make sure to tune in and check out the episode! HelloooooOOOOOooooo! This episode is powerpacked with lots of intriguing giblets and vittles! A great speech by Dr. Amp from the new Twin Peaks Season 3, is played at the top of the broadcast. My little niece Ella and my Brother Josh, contribute some fantastic found poetry. Two various sound experiments by Nitroglycerin Pep Club (PQ Ribber‘s side project), a couple Fun Facts by Henry D. Horse, mysterious spoken word by Samantha Light, plant music called “Sounds From The Soil“, a cosmic song by Broods, a conversation with my Grandma, body-rockin percussion from Bobbie Deerfield, an adrenaline-filled song by Beelzebullies, new insight from The Celebrity Afterlife Report Podcast, a laid-back folk piece by Skychief, a philosophical selection by Little Lynnie Legend (Lynne Margulies), a song written by Lawrence August, and other surprises are all presented in crispy stereophonics! This episode is dedicated to my Grandma Gladys Clendenin, who passed away last weekend. Her voice is featured at the beginning and ending of each Inspirado Projecto episode. Thank you Grandma, for your inspiration and encouragement through the years/forever. This is the link to the show in case you’d like to HEAR IT NOW! Its true! 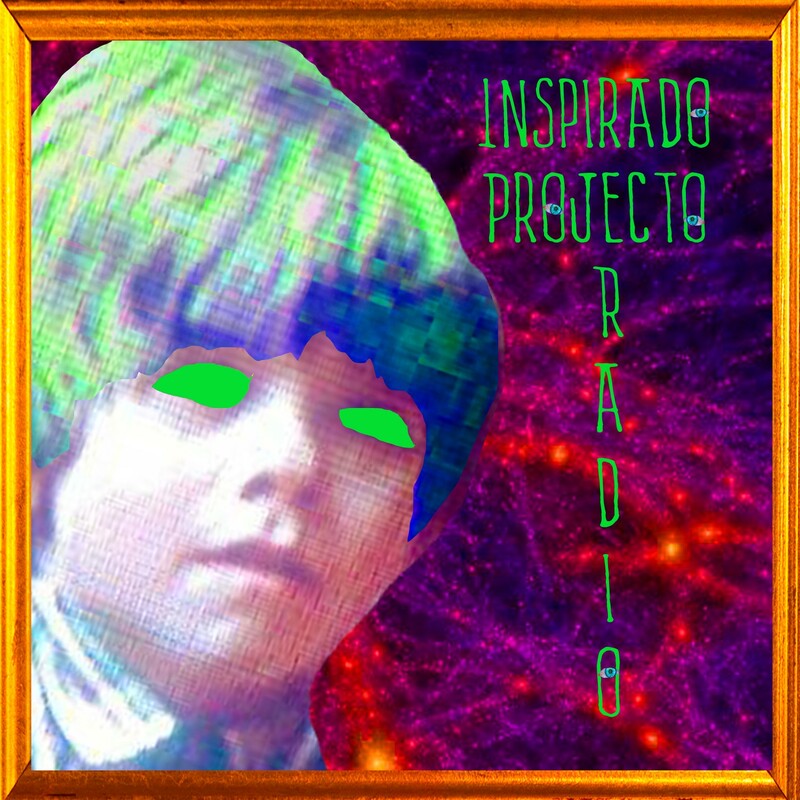 Mundee, August 8th, another episode of Inspirado Projecto Radio (“Wonverse”) shall play for your curious consciousnesses and wandering masterminds. If you catch yourself in Chinatown, Los Angeles, you can tune your olde fashioned radio-dial into 1630AM KCHUNG. If you habitate outside of that 4 block radius, you can surf along the interwaves to the LIVE streaming broadcast transmissions. You can listen to last week’s episode “FETUS”, in the Official KCHUNG Archives. You can also check out some behind-the-scenes exorcism that fibonnacci-ed its way into the studio whilst listening to “Ghostrider” by the band, Suicide.